This is from a decade before Schrödinger's Cat, so the kitty is in a cage, not a box. 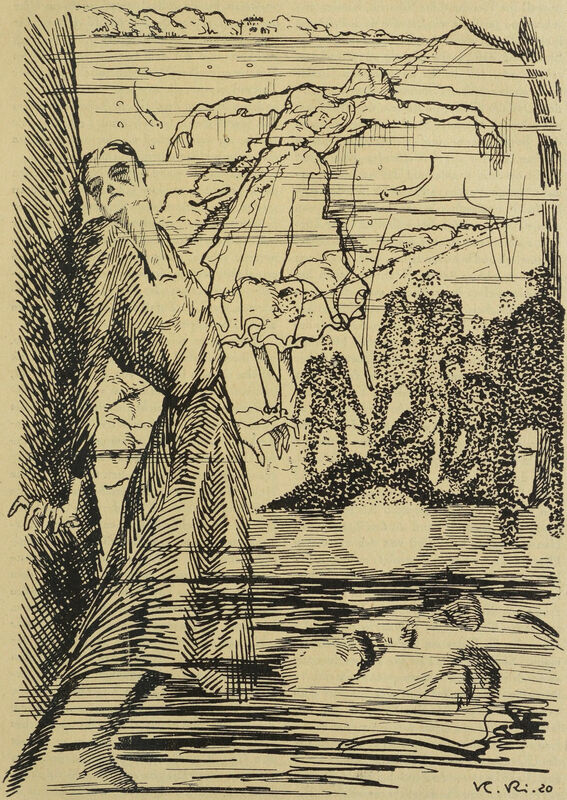 From Rockford's 1917 yearbook. 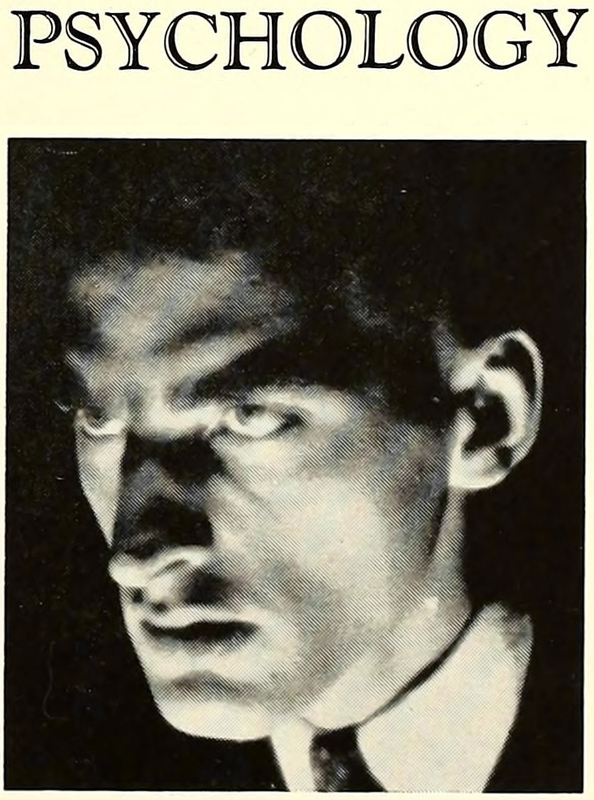 Psychology, from Taylor University's Gem yearbook, 1937. 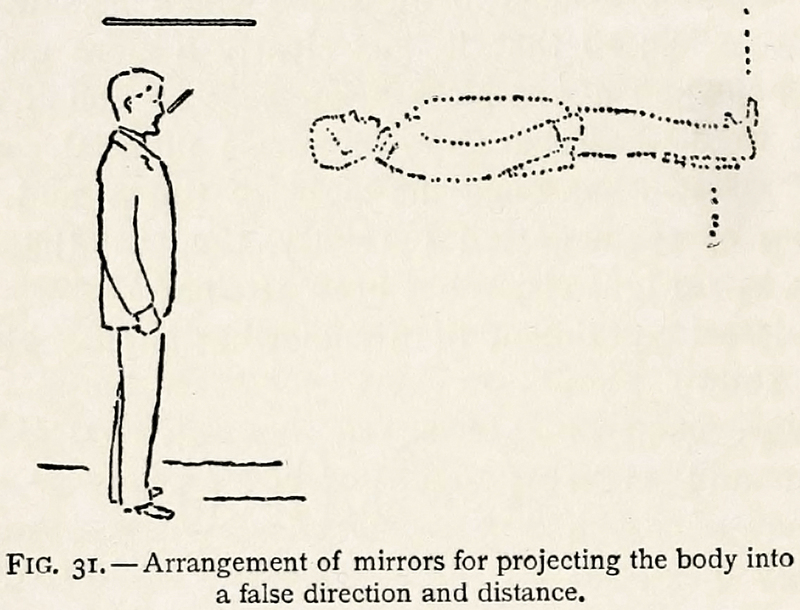 "Arrangement of mirrors for projecting the body into a false direction and distance." 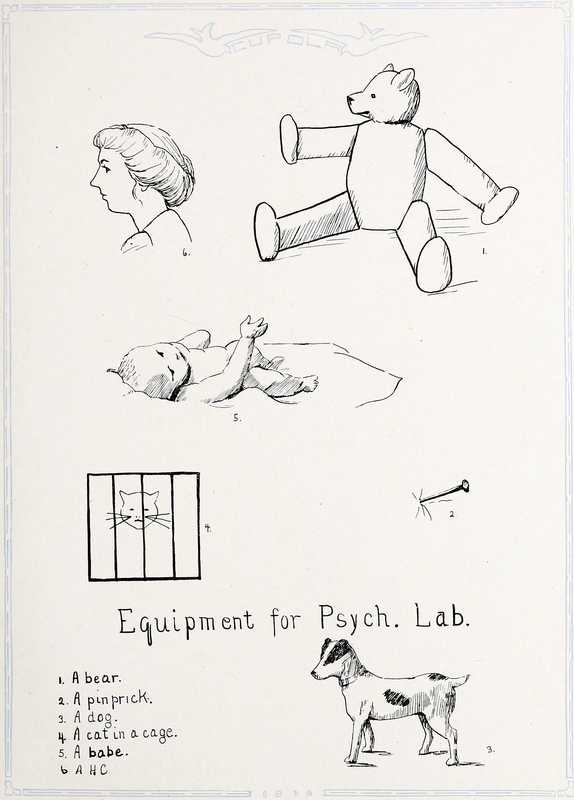 From Experimental Psychology and Its Bearing Upon Culture by George Malcolm Stratton, 1903. 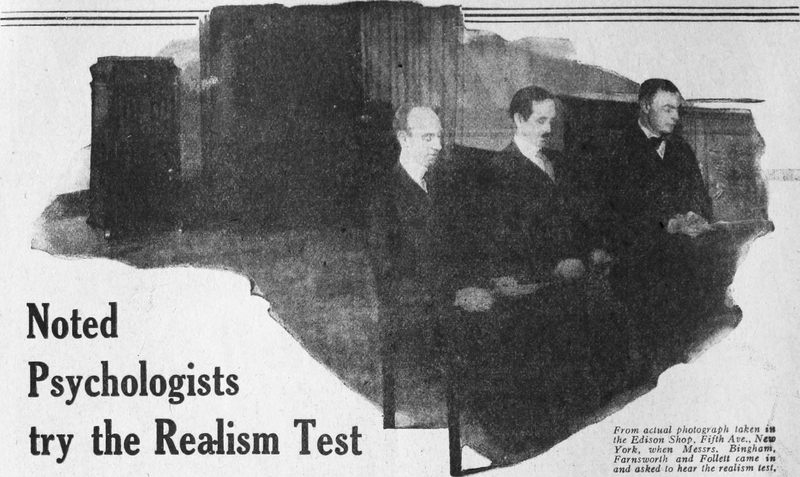 "Noted psychologists try the Realism Test," from The American Legion Weekly [Volume 2, No. 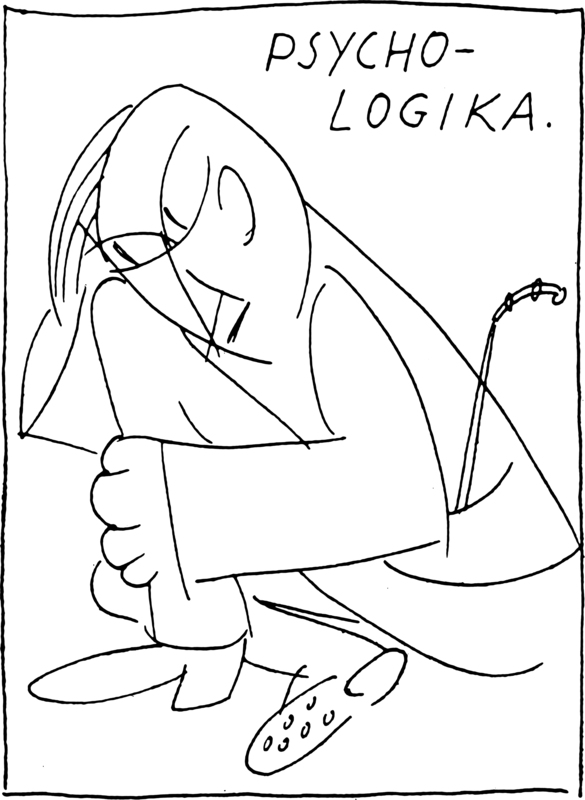 15 (May 7, 1920)].